Presumed dead by the Stockholm police, master criminal and undercover informant Piet Hoffmann is now on the run from the Swedish authorities, living with his wife and two young sons under an assumed name in Cali, Colombia. Only Hoffmann’s former police handler, Erik Wilson, knows where he is–and that he has accepted two dangerous new jobs: one as a high-level enforcer for a Colombian cocaine cartel and one as an infiltrator for the DEA, working to bring the cartel down. The FBI even lends credence to his cover story by adding Hoffmann’s alias to the Most Wanted list. 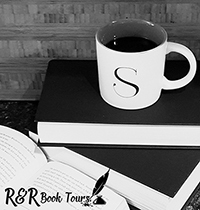 But when the Speaker of the House is kidnapped by the cartel during an official visit to Colombia, everything changes–fast. Hoffmann is party to the highest-profile political kidnapping in years and therefore directly in the firing line in what is quickly dubbed the “Final War on Drugs.” Suddenly, the Most Wanted list becomes a kill list and the DEA cuts off all contact on orders from the top, leaving Hoffmann and his family stranded. Hoffmann must walk a delicate line as he tries to protect his young family and keep up his dual role as a cartel enforcer and a deniable intelligence asset for the US government. It soon becomes clear that his only chance at getting out alive is to rescue the Speaker of the House and bring him back to the States–but to do it he’ll need the help of Ewert Grens, the stubborn, dogged Stockholm detective who hasn’t forgotten Hoffmann since the explosive showdown in Aspsas prison years ago. Award-winning journalist Anders Roslund and ex-con Börge Hellström are Sweden’s most acclaimed crime-fiction duo. Their unique ability to combine inside knowledge of the brutal reality of criminal life with searing social criticism in complex, intelligent plots has put them at the forefront of modern Scandinavian crime writing. 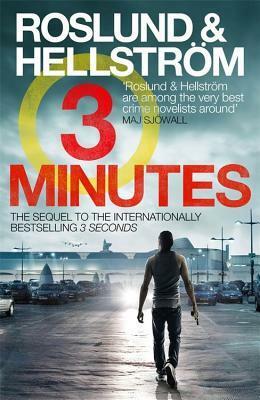 Three Seconds was awarded the Crime Writers’ Association International Dagger Award and the Best Swedish Crime Novel Award, previously won by both Stieg Larsson and Henning Mankell, and it was a New York Times bestseller. Piet Hoffmann faked his death in a prison and is now on the run. He has been given a new name and along with his family been relocated to Columbia. Piet now works for a cocaine boss called El Sueco but is also a DEA informant. To make his role look believable he was added to the FBI’s Most Wanted list. But then an American Chairman of the House of Representatives, Thomas D. Cruise, goes on a war against drugs after the death of his daughter. But when Thomas gets to Columbia he gets himself kidnapped. Back home everyone decides to go to war with the cartels and starts using the FBI’s Most Wanted as a hit list. Piet knows that he is on his own and does what he needs to in order to keep his family and himself alive. He is going to have to rely on DCI Ewert Grens to help him try and rescue Cruise. This is the seventh book in the Grens & Sundkvist series and although I have not read the other books I did not have a hard time figuring out what was happening. Piet is doing everything he can to stay alive yet help against the Columbian cartels. But he finds himself and his family’s lives in the balance when he is cut lose from his DEA handler and become a target in the war against drugs. You can’t forget about Thomas either. I understand why he is out to start war but he is fighting blind instead of looking at everything. This is an action packed thrill ride. It’s easy to fall into this story and hope that Piet and his family will come out the other side of this battle in one piece. I also wanted Thomas to be saved, he had the best intentions even if he went in heavy handed. This is a great thriller and I am interested in reading the other books in this series. I received Three Minutes from Quercus for free. This has in no way influenced my opinion of this book.